The Holm oak (Quercus ilex ssp. ballota [Desf.] Samp.) is an evergreen tree widely distributed in the western Mediterranean Basin. 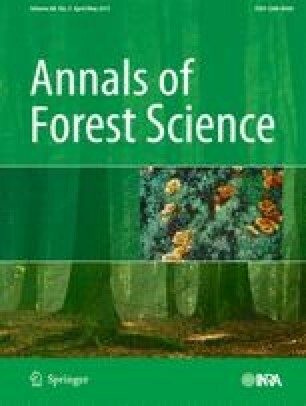 Forest restoration programs using this species have enjoyed only limited success, and knowledge concerning the effect of fertilization on plant quality and post-transplantation response is sparse. We assessed the effect of autumn fertilization using different doses of nitrogen, phosphorus, and potassium (70.0 mg N, 30.5 mg P and 58.1 mg K during the growing phase for all plants; and 30.0 vs 1.5 mg N, 13.1 vs 0.3 mg P and 24.9 vs 0.5 mg K during the hardening phase, depending on the fertilization treatment) on the seedling characteristics and field performance of Holm oak. Autumn fertilization, especially with N, did not decrease plant quality but improved overall growth, root growth capacity, cold hardiness, and the nutritional content of nursery-grown seedlings. However, autumn fertilization had only a small effect on field performance, which was affected only by K fertilization, probably because of the adequate N and P nutrient status of all the plants and the mild weather conditions of the field plot. In our site, which had a mild winter climate, late autumn out-planting was more successful than was mid-winter out-planting. This work has been financed by MEC of Spain (ref. AGL2006-12609-C02-01/FOR). In addition, the work was partially supported by University of Huelva and Andalucía Research Programs to promote research groups activity. The first author benefits from a doctoral grant from the Ministry of Education of Spain. We gratefully acknowledge the support of Rocío Macías, Felipe Carevic and Arantzazu González. Special thanks to the Laboratory of Research and Agrifood Control (LICAH) of the University of Huelva for carrying out chemical analysis.